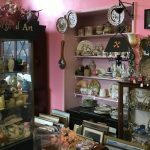 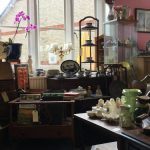 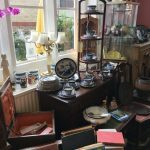 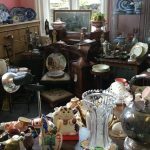 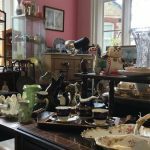 Open Friday & Saturday from 9am to 2.30pm, you will find a varied and interesting selection of antiques, vintage items and curios in our Antiques Centre. 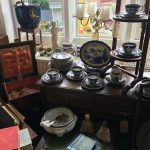 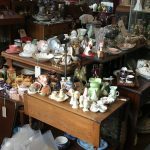 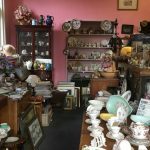 Specialising in 1920’s & 30’s china, pottery and glass, such as Carlton Ware, Beswick, Clarice Cliff, Shorter & Sons, as well as Royal Doulton, Wade and Royal Worcester. 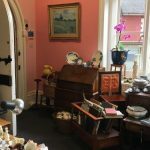 The Centre also houses Victorian and Edwardian furniture, silver, jewellery and a vast selection of nostalgic collectables – all can be found at Courtenay House – irresistible if you love to browse! 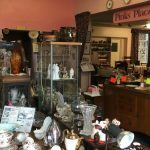 Photo Gallery: Click the images to enlarge – click the black background to return to this page.